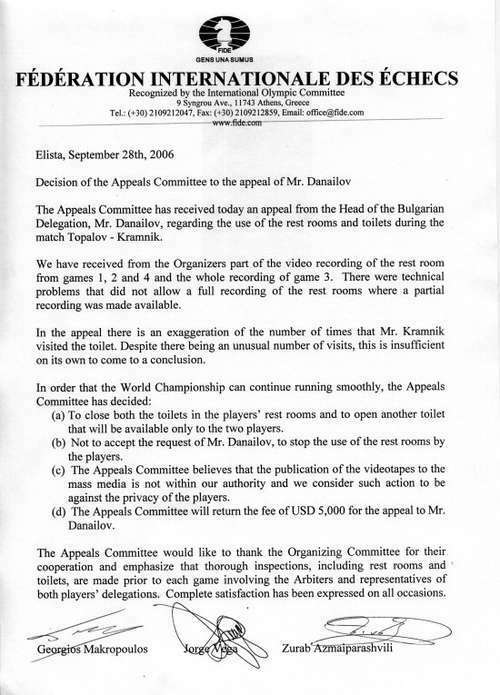 09.29.06 The Appeals Committee has come to a decesion regarding the appeal of the Topalov team. We bring it to you here. The question remains: Will both parties accept it and will the World Chess Championship Match continue?